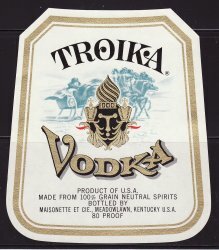 Troika Brand Vodka Label. Vintage, original Troika Vodka Label. Bottled by Maisonette et cie, Meadowlawn, Kentucky. This mint original label from the 1940s measures 4.75x4". 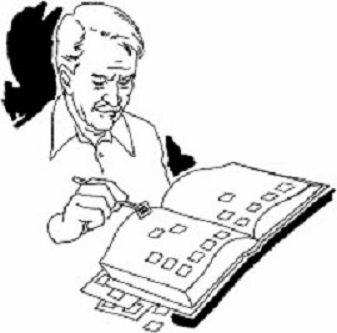 Image of a troika - sled drawn by three horses. Shipped flat in a sturdy envelope. Ready to frame.